I was one of at least a thousand students who attended Frank Warren's lecture about PostSecret, a phenomenon that Warren describes as "an ongoing community art project where people mail in their secrets anonymously on one side of a postcard." Since then, the project has gained international attention, and Warren has received more than 200,000 postcards at his home address in Maryland. Personally reading each secret desire, criminal act, and naughty habit, he was approached by The All American Rejects about using some of his postcards in their music video "Dirty Little Secret." Offering to pay him $1000, Warren instead asked them to donate $2000 to the National Suicide Hotline, to which his is a volunteer. Since then, Warren has published four PostSecret novels and is working to produce four more. 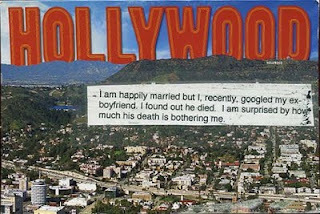 (The next, PostSecret: Confessions on Life, Death & God will be released in early October.) 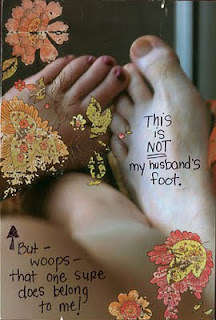 His blog, PostSecret, receives around 3,000,000 visitors a month and was awarded six different weblog awards in 2006. He has also appeared on The Today Show, 20/20, CNN, MSNBC, Fox News, and NPR, and has been called "the most trusted stranger in America." This year, in 2009, Warren is lecturing at more than two dozen universities around the country, as seen in this YouTube video that describes the project itself. At the lecture, he said that it all started a few years ago when he stood on the streets of Washington D.C. and handed out blank postcards, informing people that he "collected secrets." 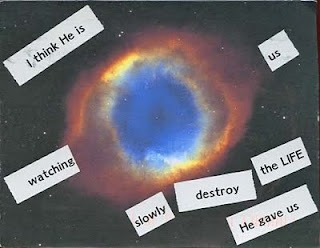 "Some people took the cards, others didn't," he said, explaining the history of PostSecret. "Many ignored me, assuming I was some crazy homeless person who picked up a new gimmick. There were also the ones dressed up in their black suits who said, 'I don't have any secrets!' Of course, I always made sure that those people got one. They have the best secrets." (Then again, Warren also said that "young women have the best secrets because they have these rich, inner lives." I admit--we do hide things.) Warren elaborated on this fact. "There are two kinds of secrets," he said. "There are those that we keep from others, and there are those that we hide from ourselves." I would think that the latter of the two kinds is the most painful; the denial of a problem, the past. Warren articulated further: "There was a woman who emailed me a couple of years ago," he said. "She told me that she had wanted to send me a postcard. However, once she had written her secret down, decorated the postcard, and addressed it, she had second-thoughts. Her secret was right there, staring right back at her. So, instead of mailing it, she picked up the postcard and ripped it straight down the middle." He paused dramatically. "'Frank,'" she told me, "'I never felt so relieved; so free.'" That's probably why nearly a dozen University of Iowa students took the floor after Warren's lecture. They, too, had secrets to share; facts that they could no longer hold from themselves and others. The first girl bravely approached the microphone, her breath echoing throughout the hall. "Sometimes when I'm really constipated, I push too hard and I pee my pants a little." I laughed, looking at the girl I had attended the lecture with. Her face was scrunched up just like mine, and we giggled as we clapped for commendation. Another girl stepped toward the mike on the opposite side of the room. "Sometimes when I see an acquaintance coming towards me, I pull out my phone and pretend to talk on it so I don't have to talk to them," another girl shared. Frank intervened. "Now, come on," he said. "How many people in this room do that?" Nearly everyone raised their hand, which caused us to laugh again. "See?" he said. "That's the secret-holder's biggest concern. They are afraid that they are the only ones who do these things when, in fact, they are not alone." This prompted him to discuss the National Suicide Hotline, an agency that he is an adamant supporter of. "People do cry out for help," he said. "And that is what this organization is for. I want the people who share their depression and anxiety with me to be able to find help." His point was further accentuated when yet another young girl stepped up. "I have some friends back home," she started. "I never fail to see them when I go back. What they do is a little, strange, though. They never ask me how I am, or what I'm doing, or if I feel fine. Rather, they ask me, 'How is your soul?' And now," she said, starting to get emotional, "I can't look them in the eye, because I don't have an answer." Hers was not the only downhearted secret that was shared. Another woman confessed that she could not, for the life of her, remember whether or not she said "Goodnight" to her mother the night before she died. A young man approximately my age stepped up right after her and said, "After my mom died, everyone told me that I didn't care. And I couldn't tell them, they couldn't see it, that on the outside, I did hurt, and that it was the most painful thing I have ever felt, and have never gotten over." A hush fell over the rest of us as we watched him walk away from the microphone and promptly exit the Main Lounge. There were other secrets that were more light-hearted, however, and entertaining; most of which were shared by Warren himself. One of the first ones he told us was from a girl in college, one who said that "Whenever she and her mom go out in public, they talk in British accents so everyone treats them nicer." Another postcard declared, "Whenever I use a Q-tip in my left ear, I cough." One of the most interesting (and creepiest) ones said, "I cut the hair off of the children I babysit when they sleep." and the pangs and burdens of past relationships. I would recommend that you check it out; it provides a great deal of insight, and is incredibly interesting. Furthermore, it makes me think of my own secrets, as well as others'. I'm both curious as hell and deathly afraid about the things that my loved ones keep from me. Thanks for coming by! I've never heard of the blog post secret before, but your write-up sounds very interesting. I, too, am scared to even think about secrets that people close to me have. But hey, we all are intitled to make choices, and we all have a mind which wades through the places that are so very personal.